Lung surgery is a serious procedure that often comes with a long and painful recovery time. Fortunately, the experts at Cardiovascular & Thoracic Surgeons of Ventura County in Oxnard, California, offer a less invasive solution. The da Vinci® Xi™ surgical system is the latest technology in lung surgery. It requires only a few tiny incisions, which gives your surgeon greater vision, precision, and control when it comes to your operation. Call Cardiovascular & Thoracic Surgeons of Ventura County today or book an appointment online to learn more about the da Vinci Xi surgical system. What is the da Vinci® Xi™ Surgical System? 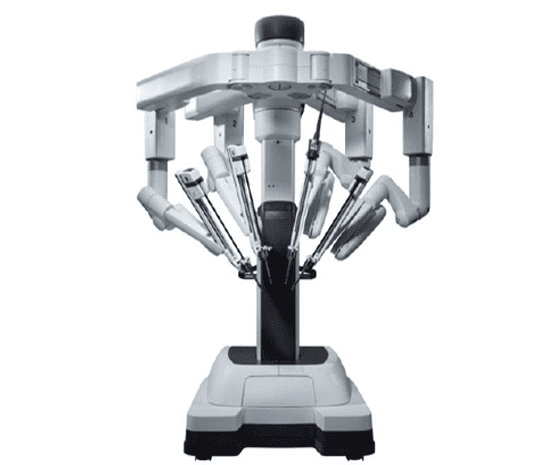 The da Vinci Xi surgical system is the most advanced minimally invasive robotic surgery option to help treat complicated diseases such as colorectal cancer, gynecologic cancer, prostate cancer, and lung cancer. With an ergonomic design, your surgeon can control the system from a console for better precision and accuracy during your operation. The innovative instrument features a jointed-wrist design, allowing it to use more range than the human hand can in surgery. The machine is also steadier than any human hand for better accuracy with each small incision. Because the da Vinci Xi surgical system provides surgeons with better precision and visualization, increased range of mobility, and overall comfort, they can perform minimally invasive procedures with fewer risks than traditional surgery. What are the benefits of the da Vinci Xi surgical system? Unlike traditional surgery, the da Vinci Xi surgical system allows surgeons to perform minimally invasive procedures on patients. How can the da Vinci Xi surgical system help with lung cancer? The da Vinci Xi surgical system is a great alternative to open surgery and laparoscopy. It requires only a few small incisions, so your surgeon will not have to separate your ribs at any point during your surgery. This means your surgeon can perform a procedure with extremely accurate precision — thanks to the small instruments and high-definition camera — ensuring that only your body’s unhealthy tissue is removed. In addition to accuracy and quick recovery time, the da Vinci Xi surgical system allows surgeons to investigate areas of the body that may not be seen by the naked eye. For patients with lung cancer, the enhanced visualization that the da Vinci Xi system offers surgeons could be a lifesaver if your doctor sees your cancer spreading before it becomes untreatable. If robotic surgery sounds like the right choice for you, call Cardiovascular & Thoracic Surgeons of Ventura County or book an appointment online today to learn more.